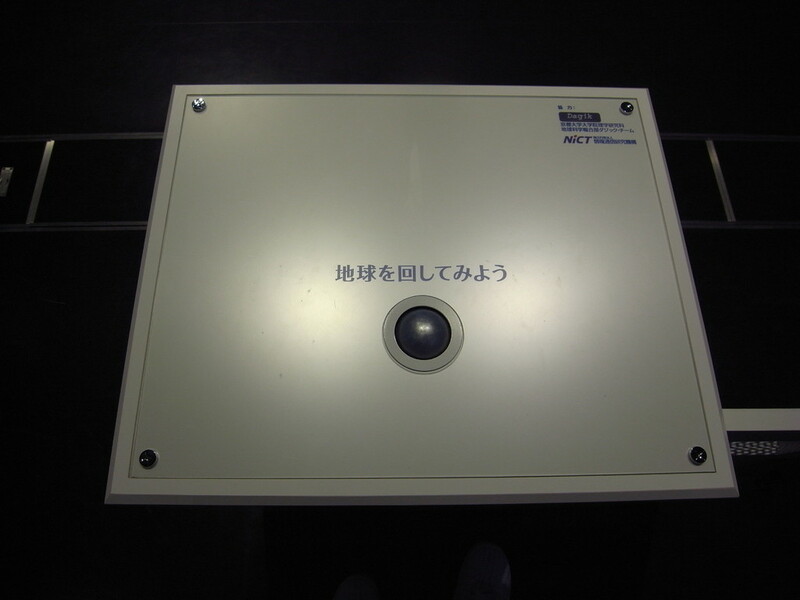 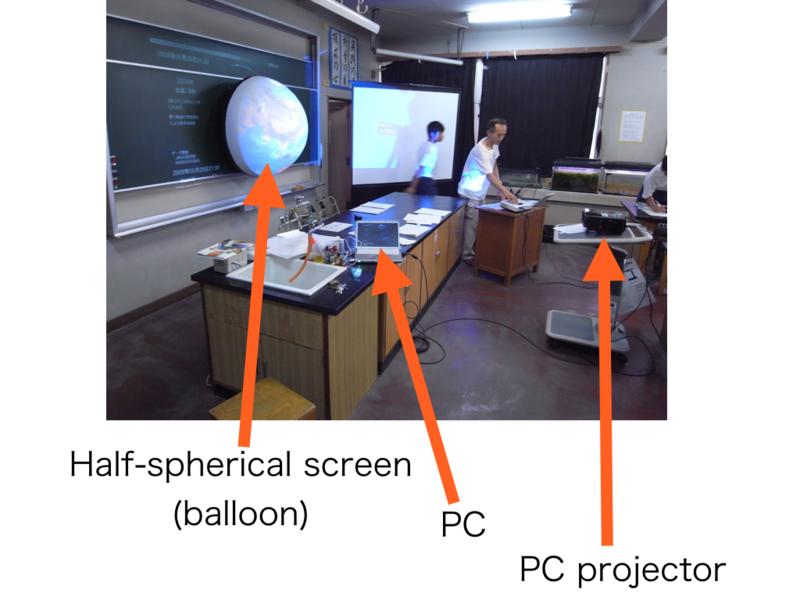 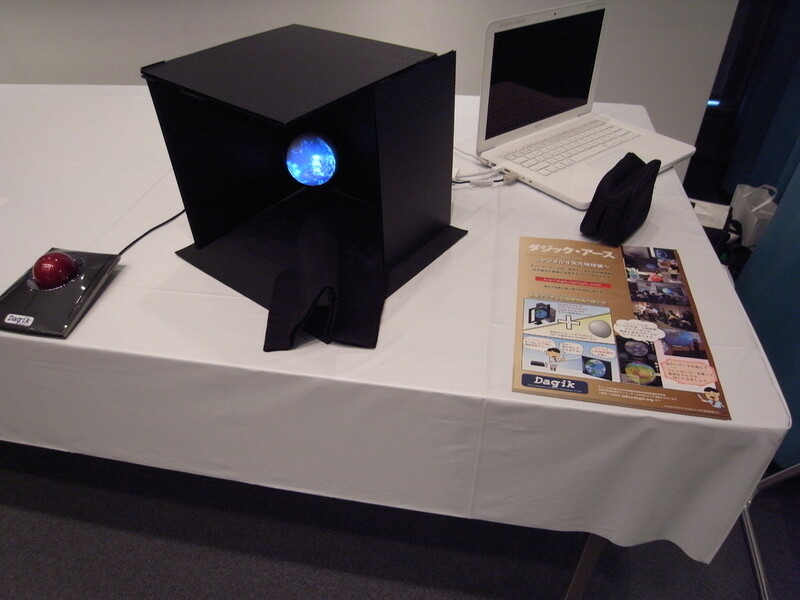 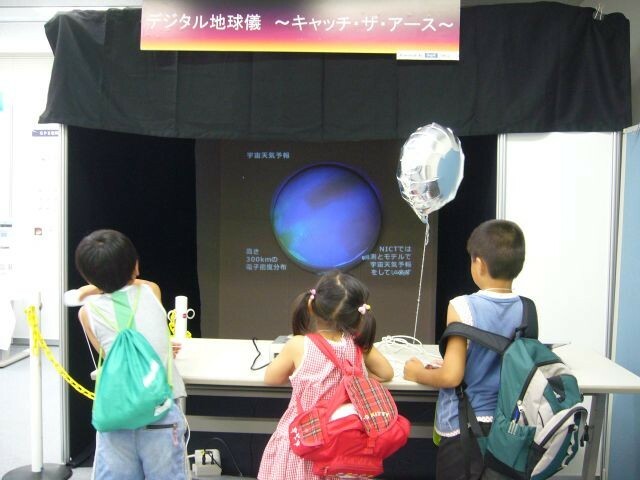 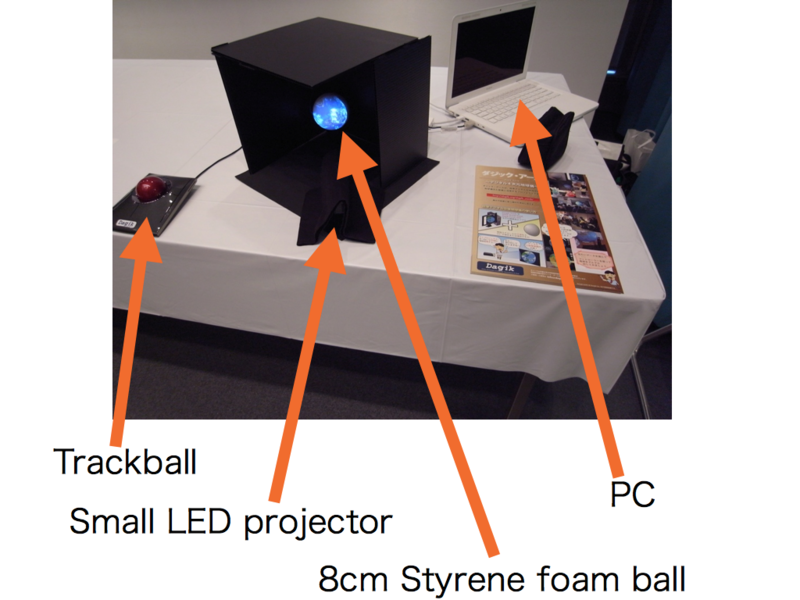 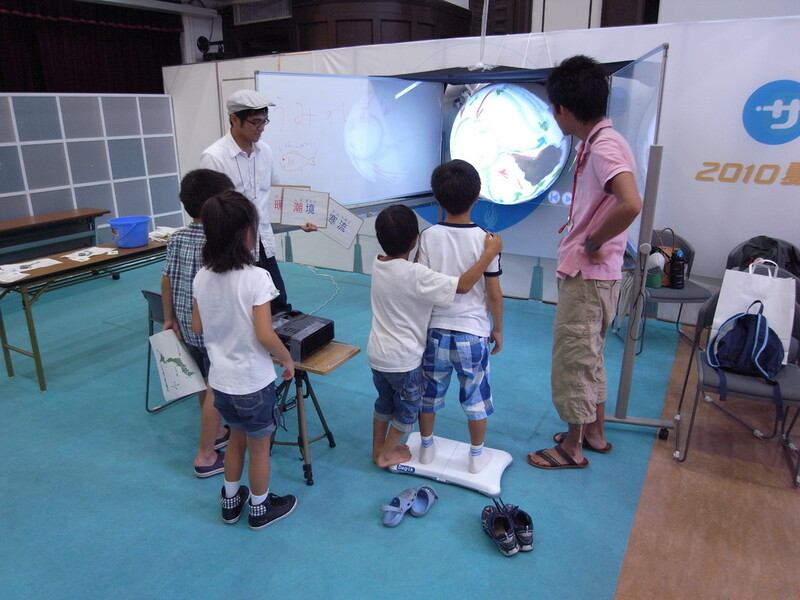 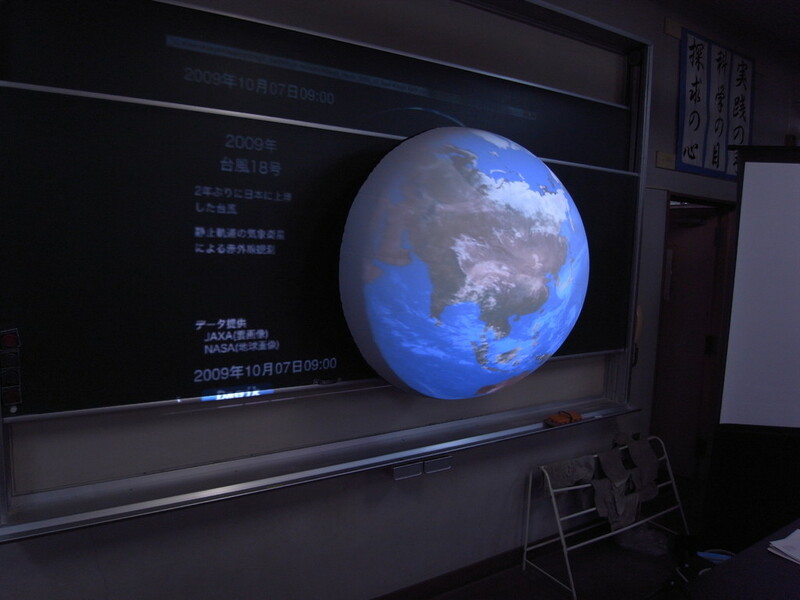 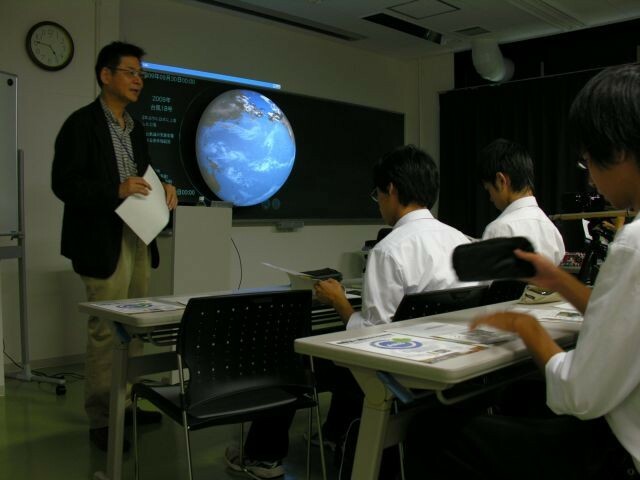 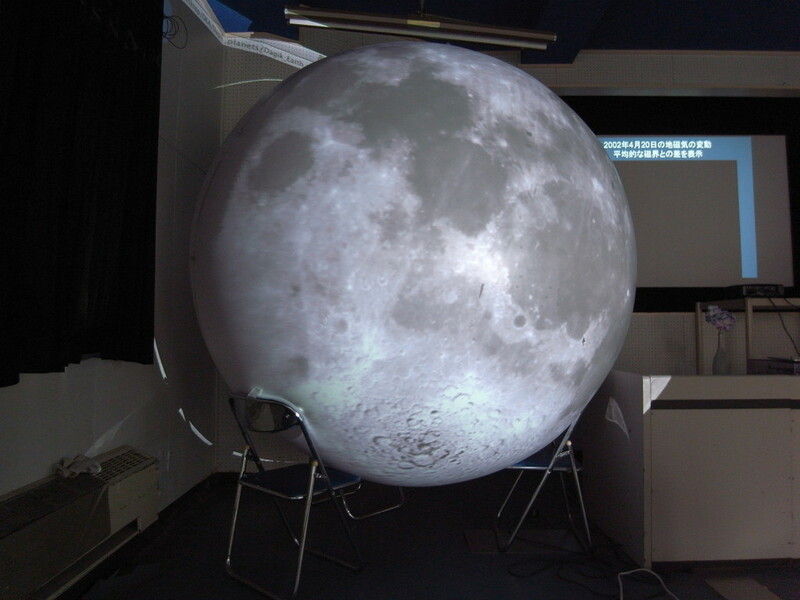 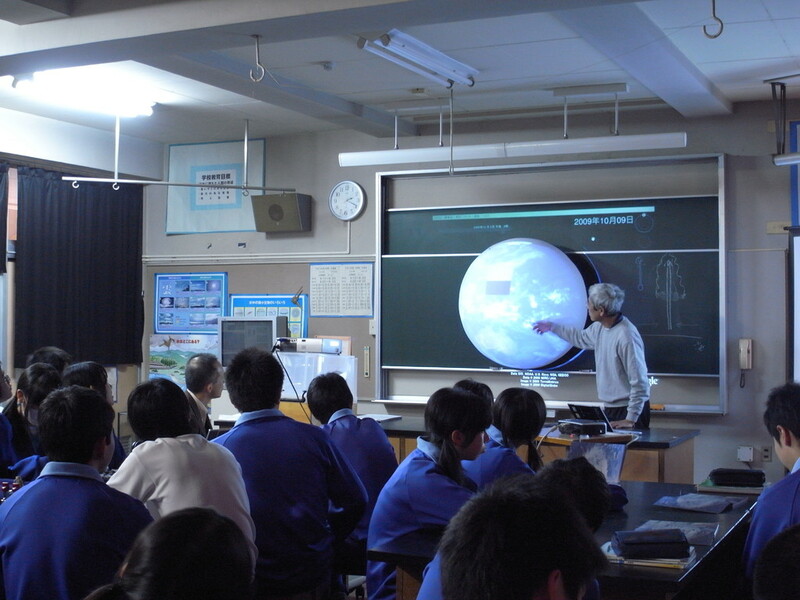 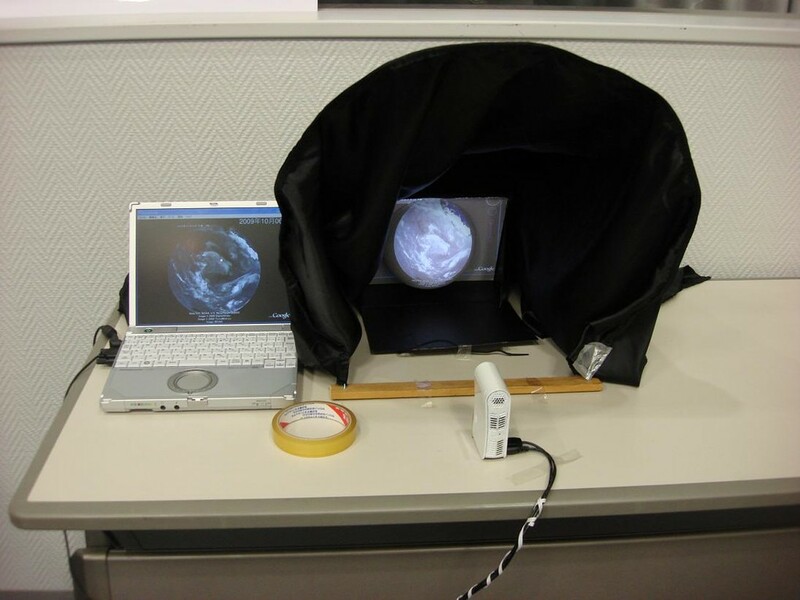 A half-sphere screen is put on the blackboard with magnets. 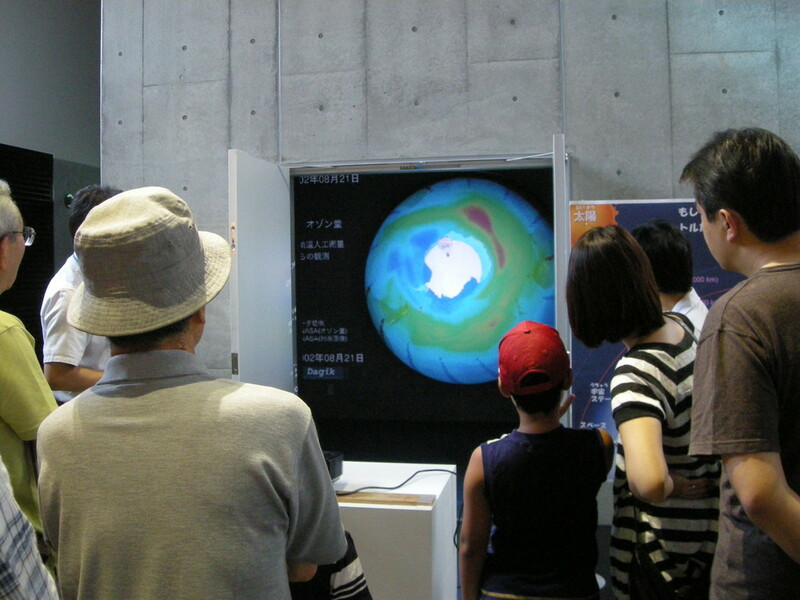 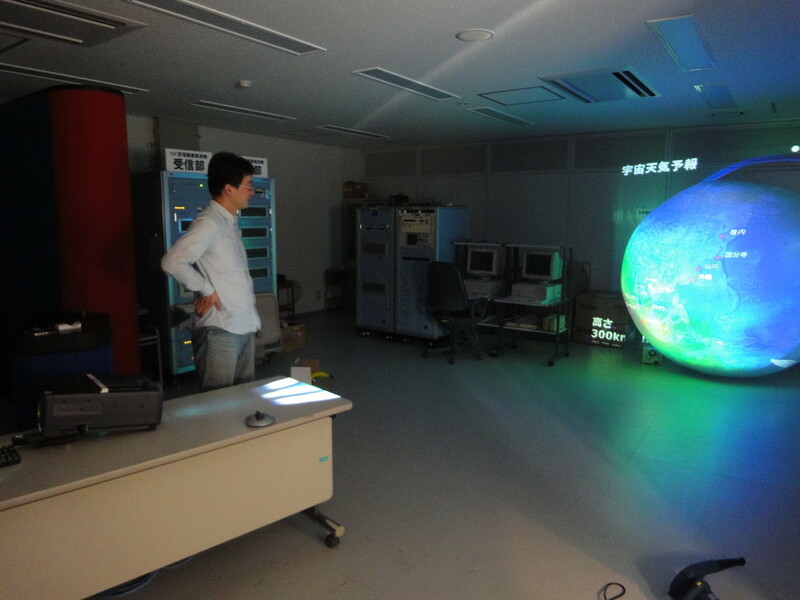 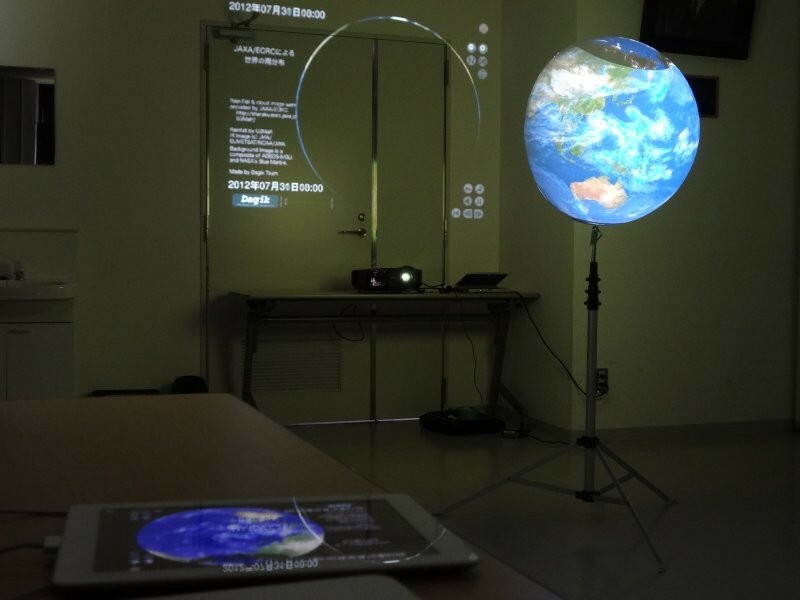 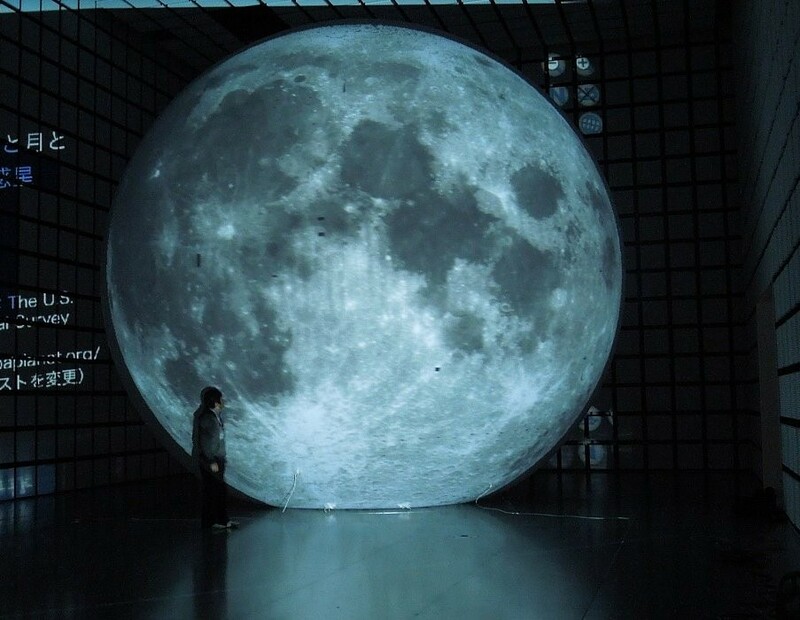 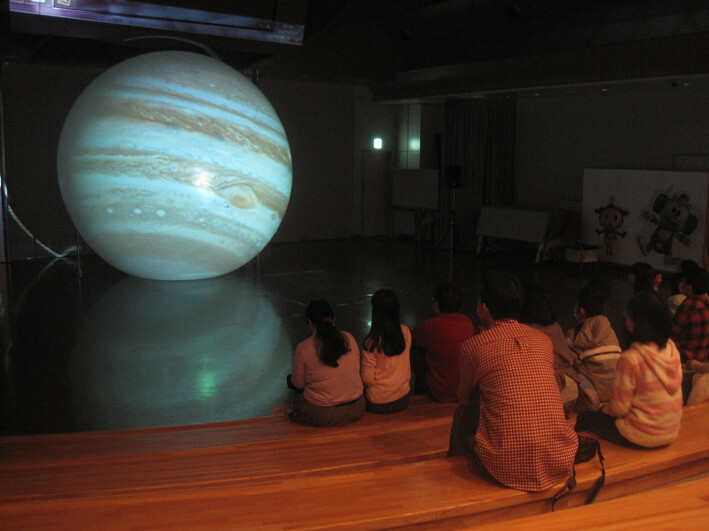 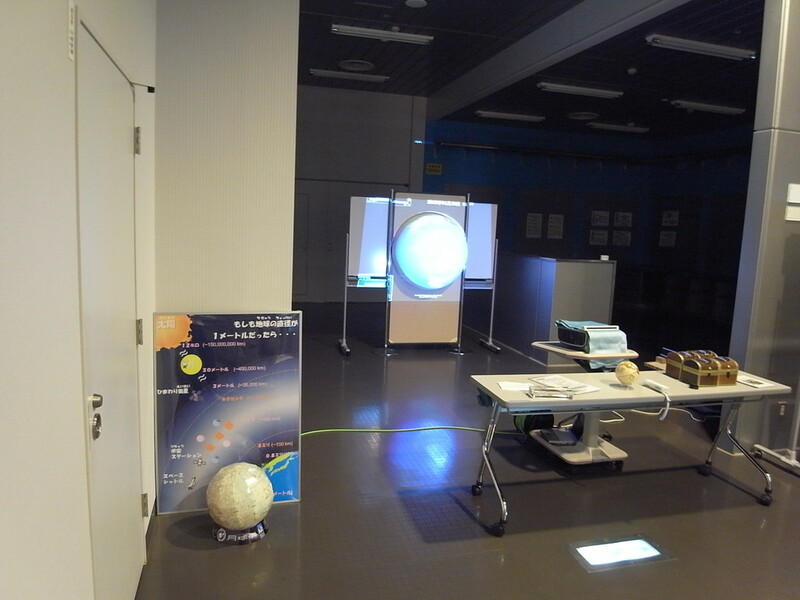 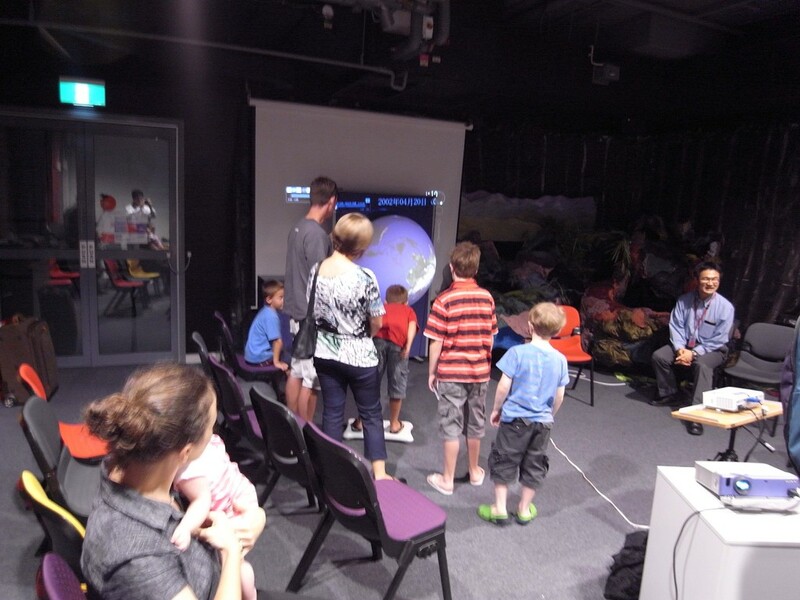 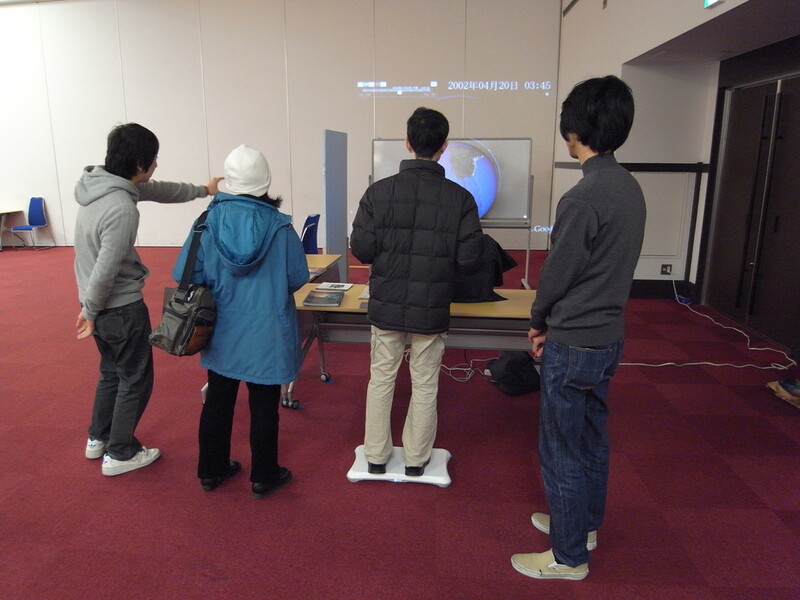 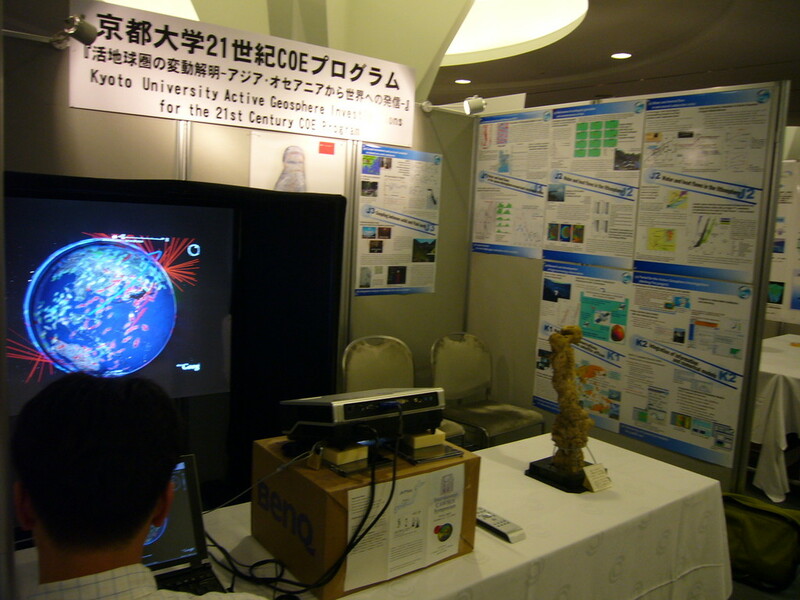 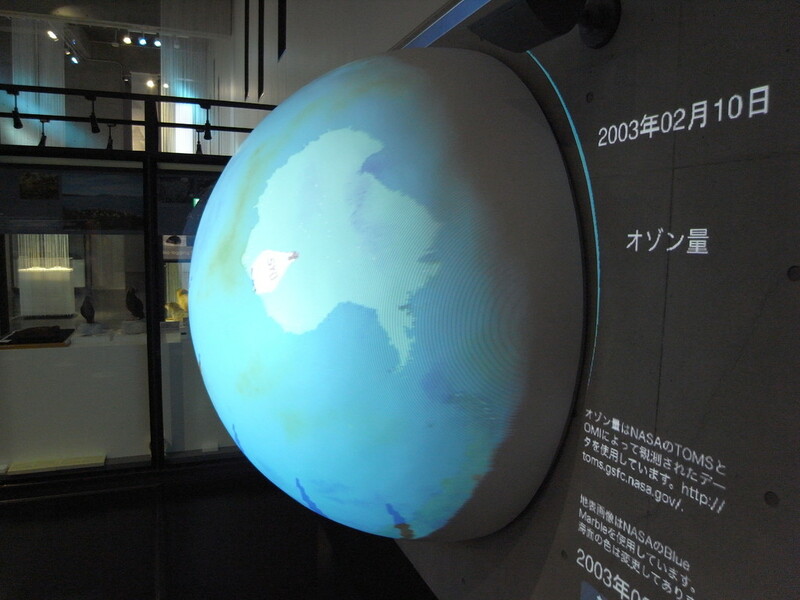 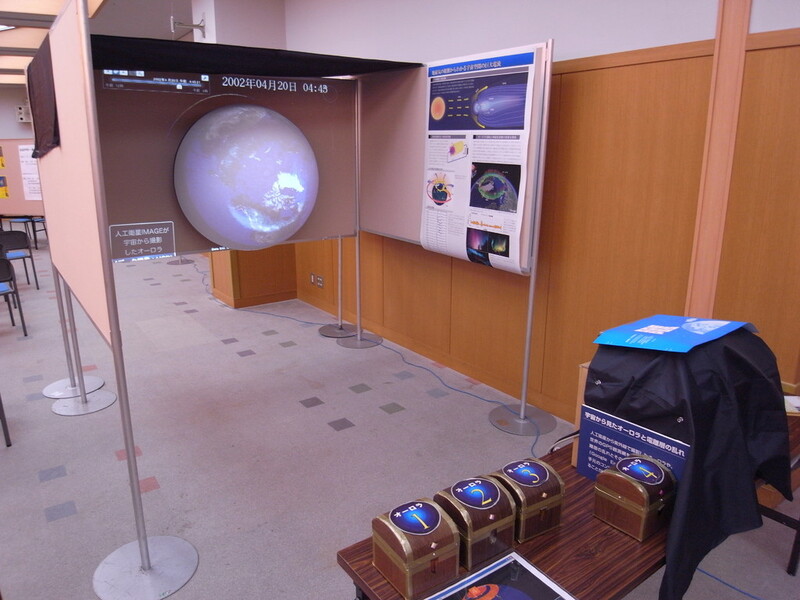 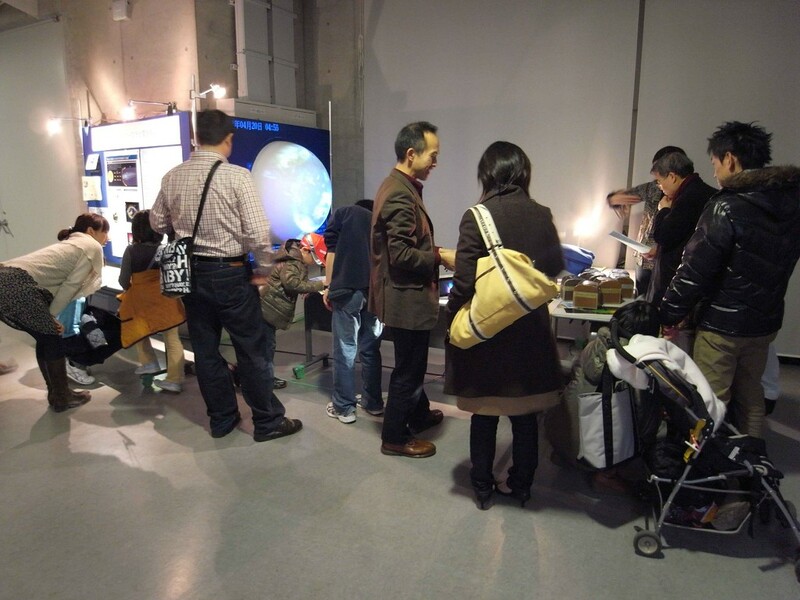 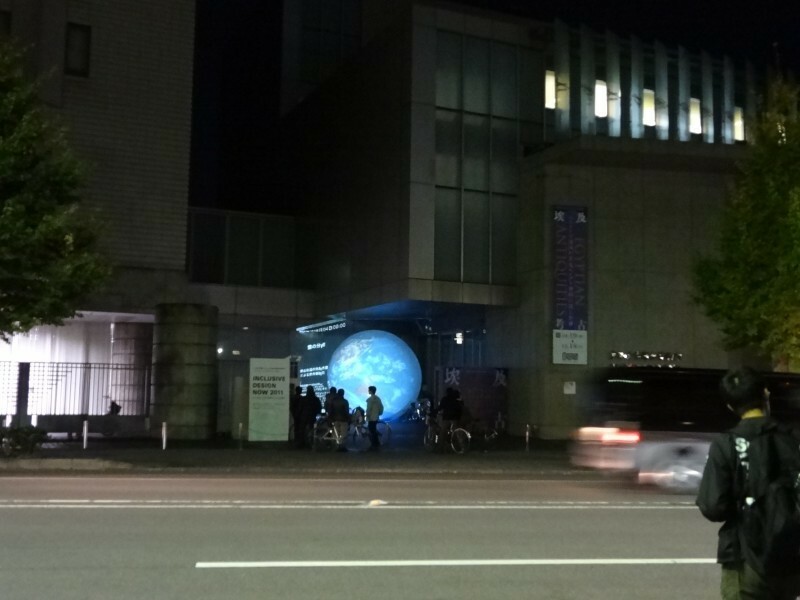 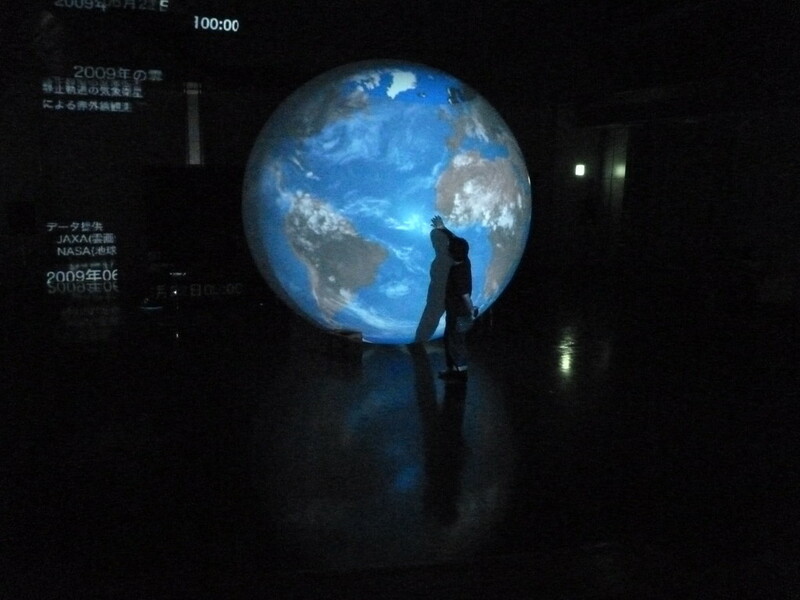 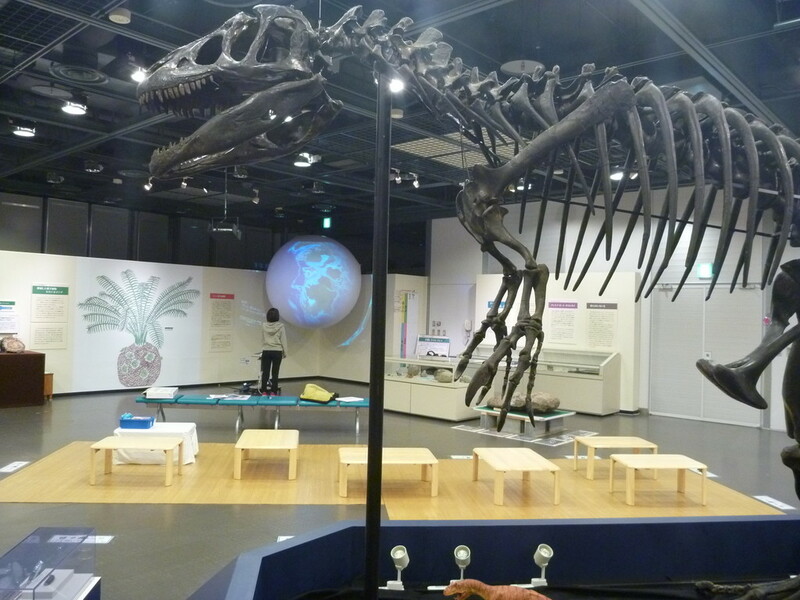 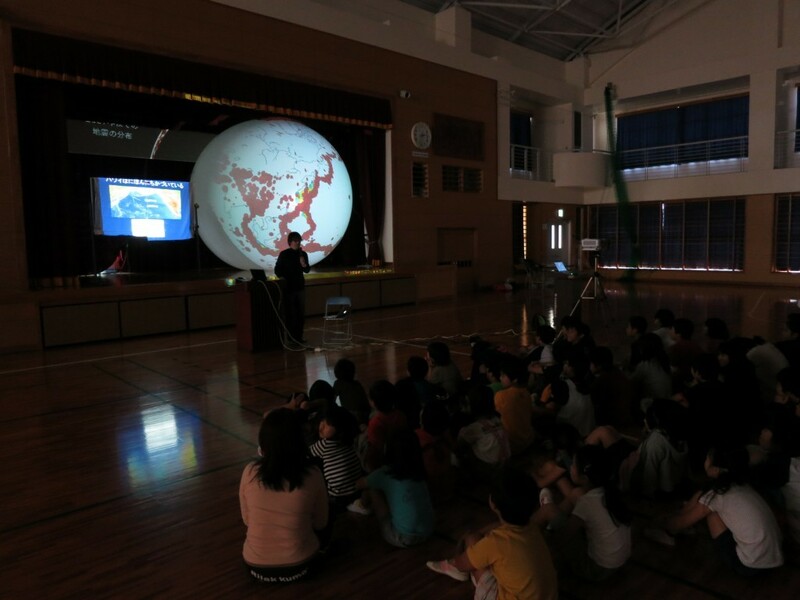 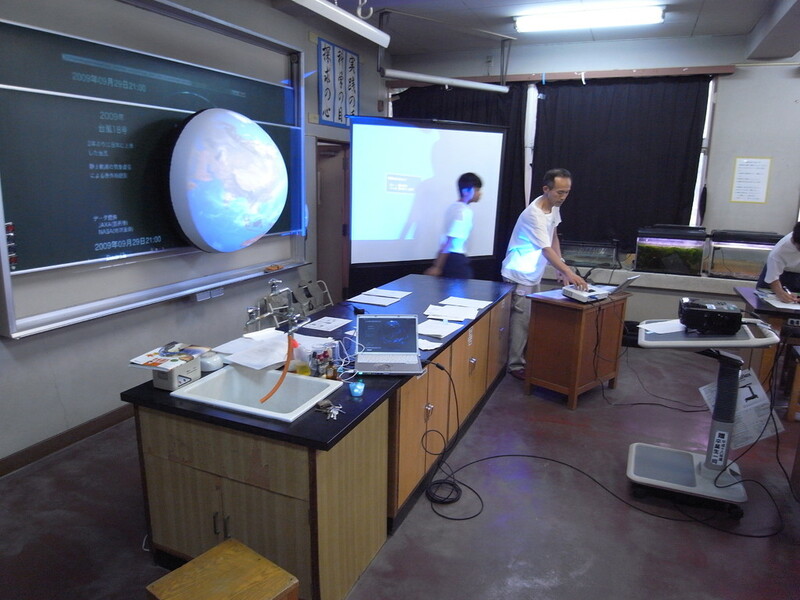 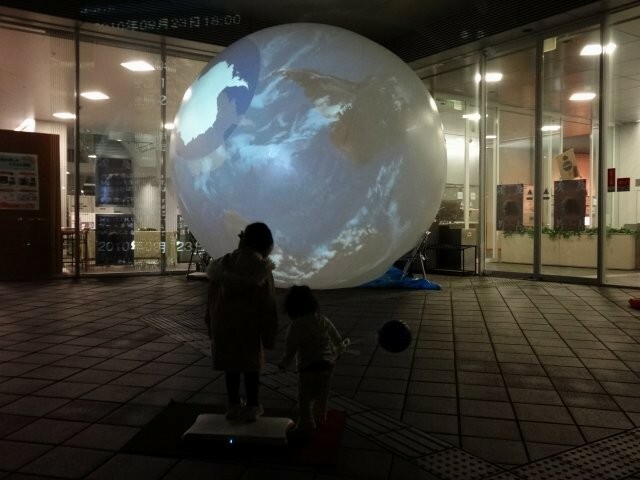 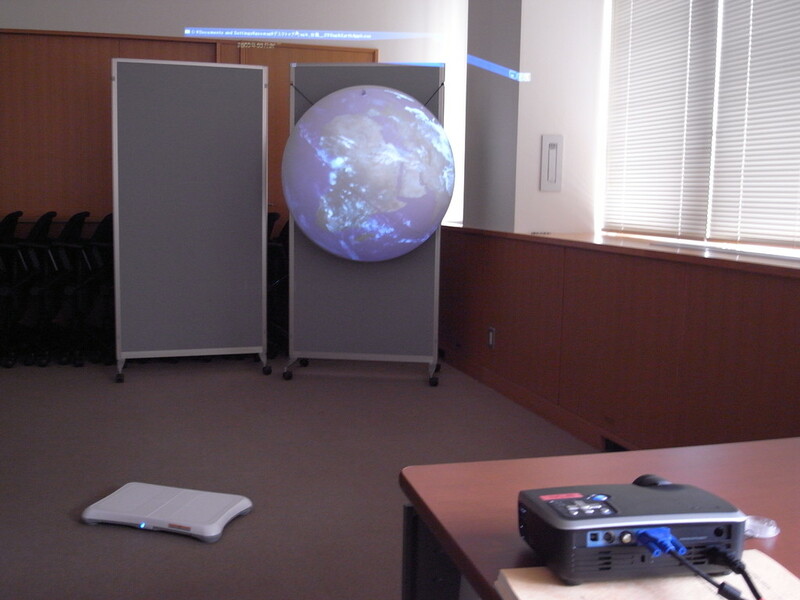 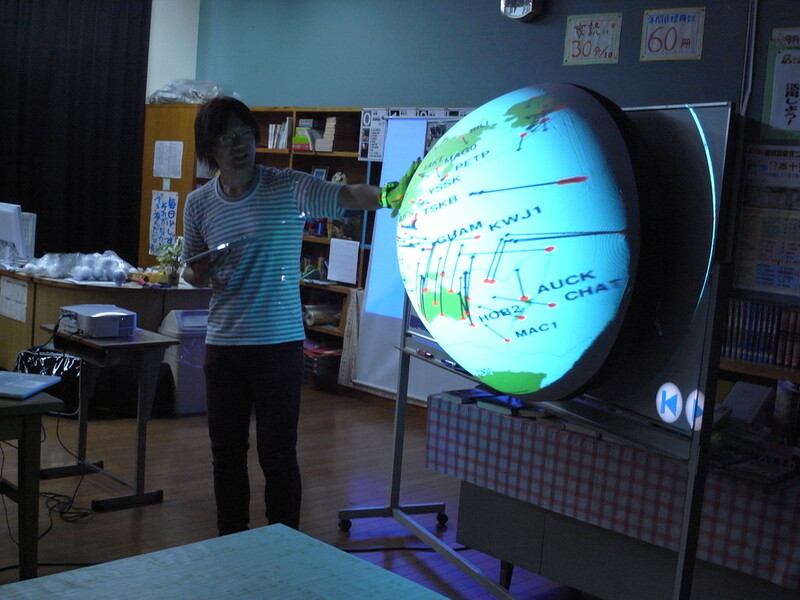 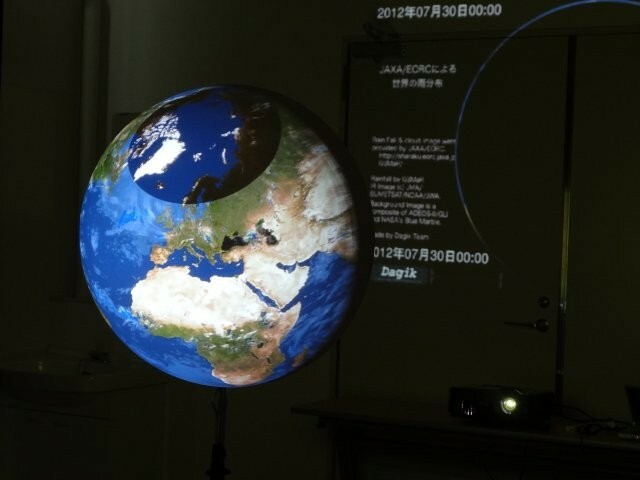 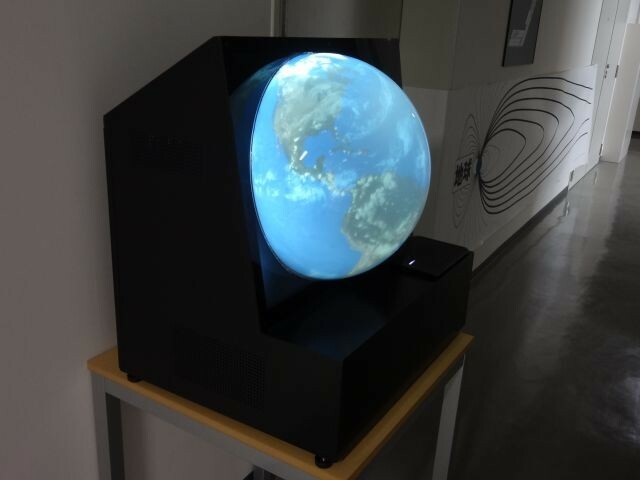 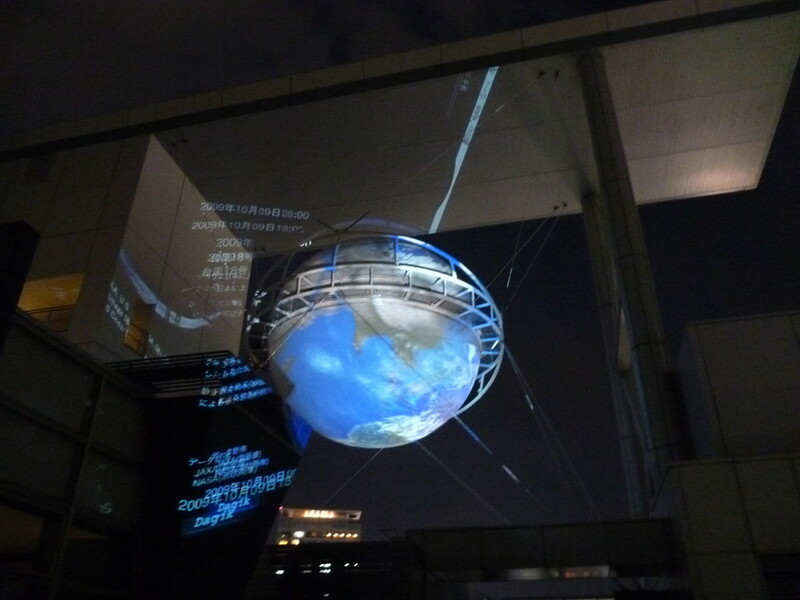 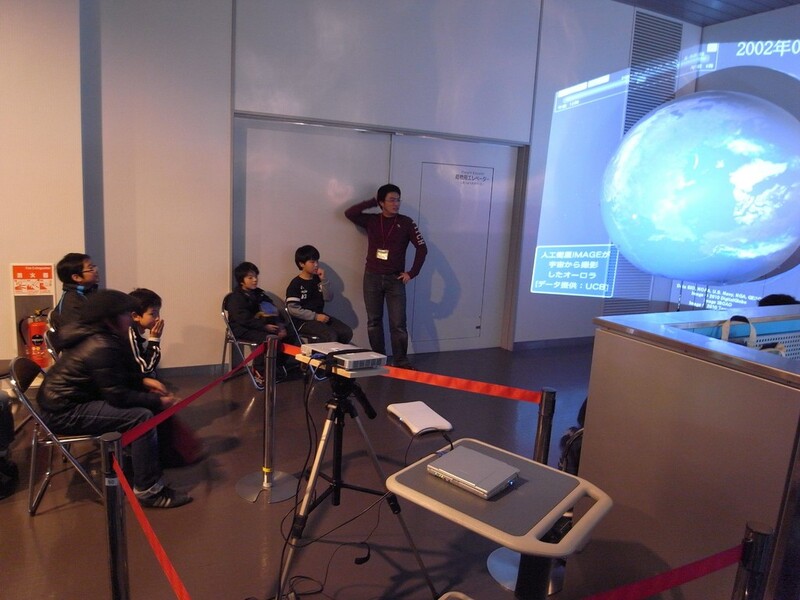 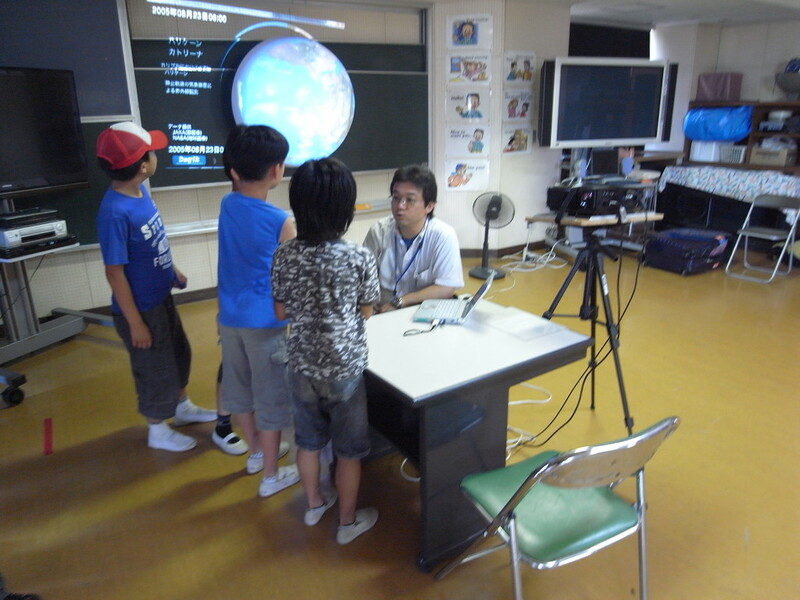 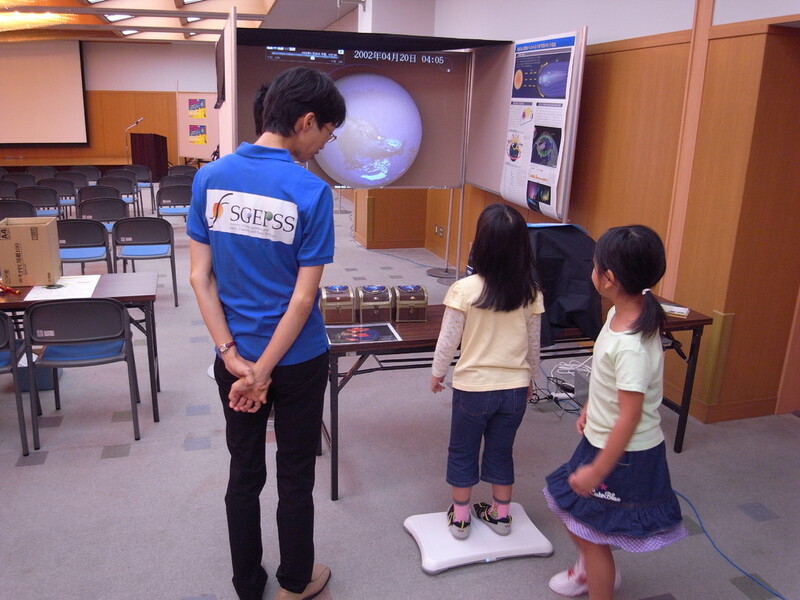 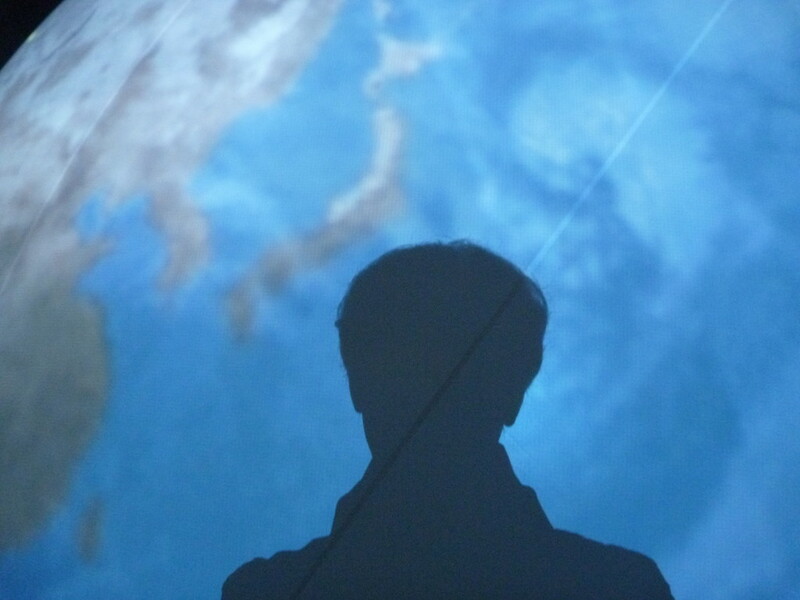 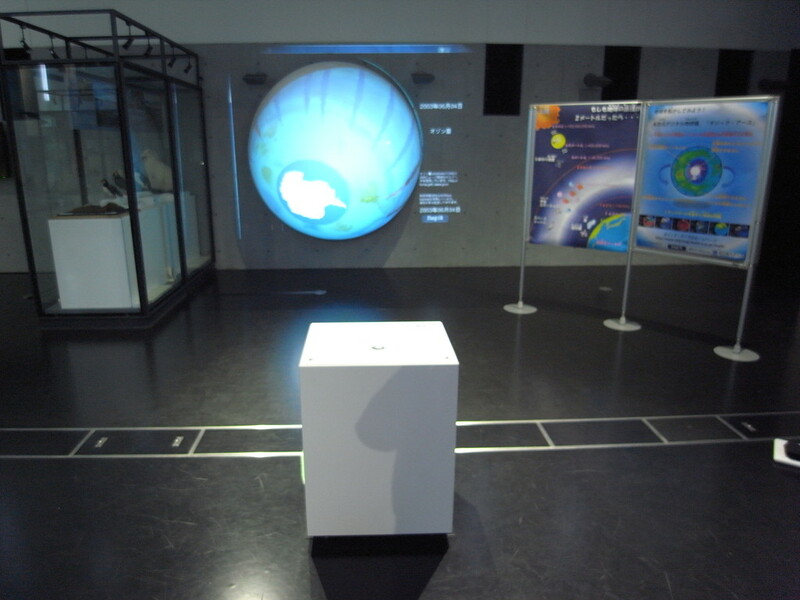 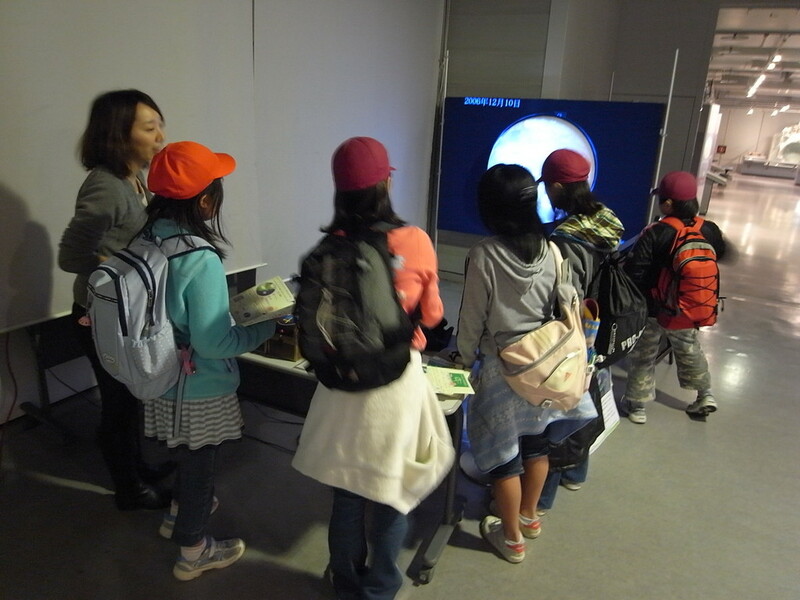 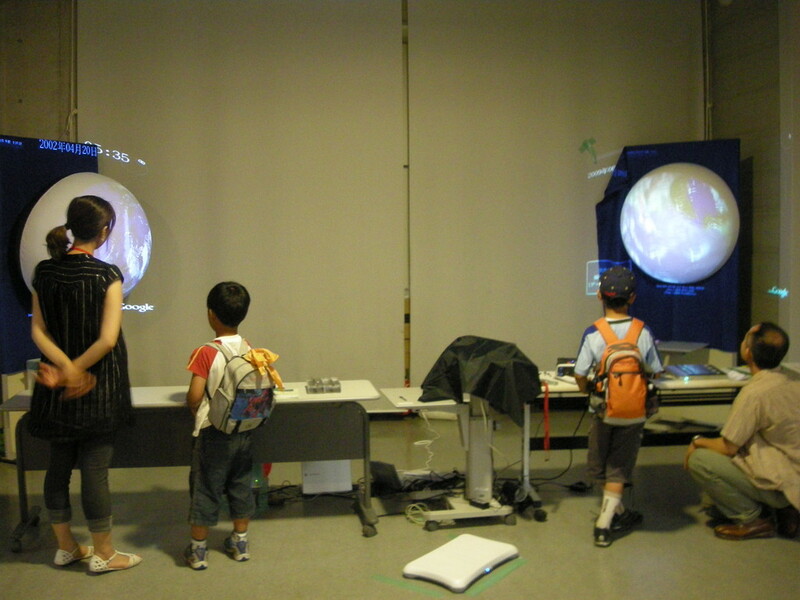 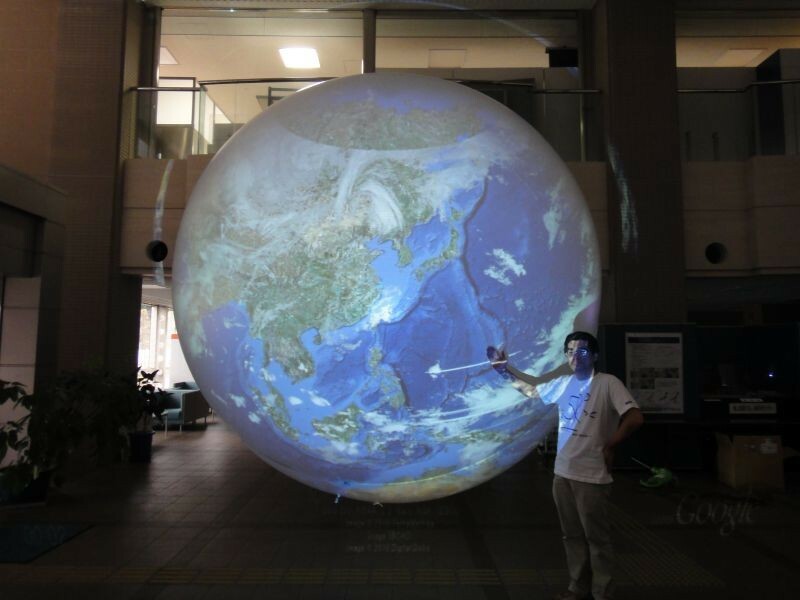 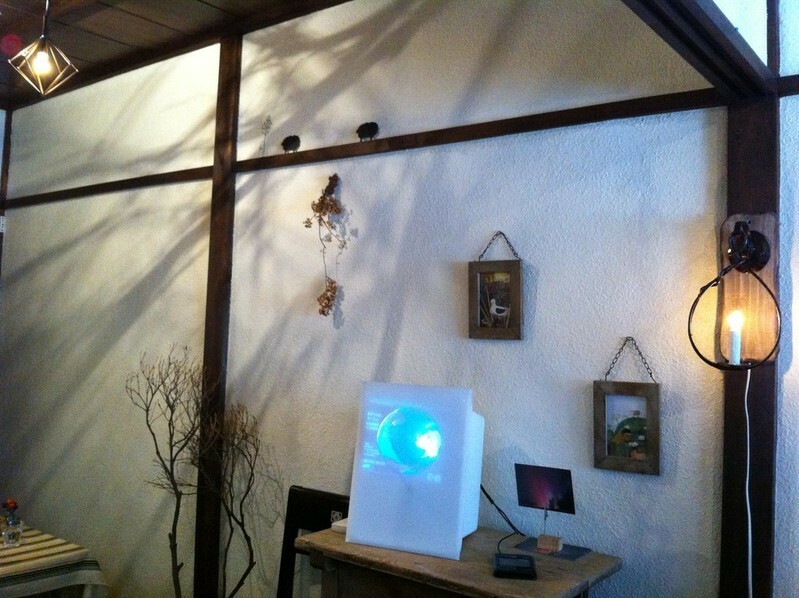 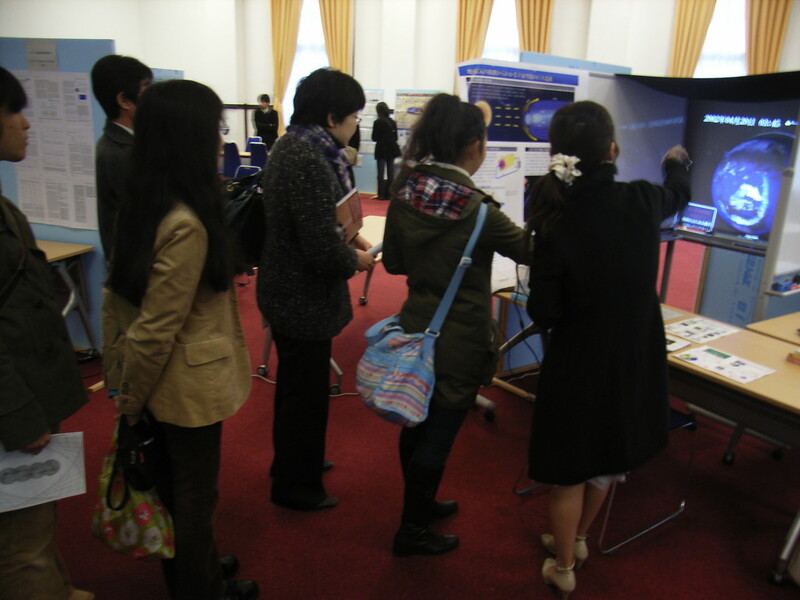 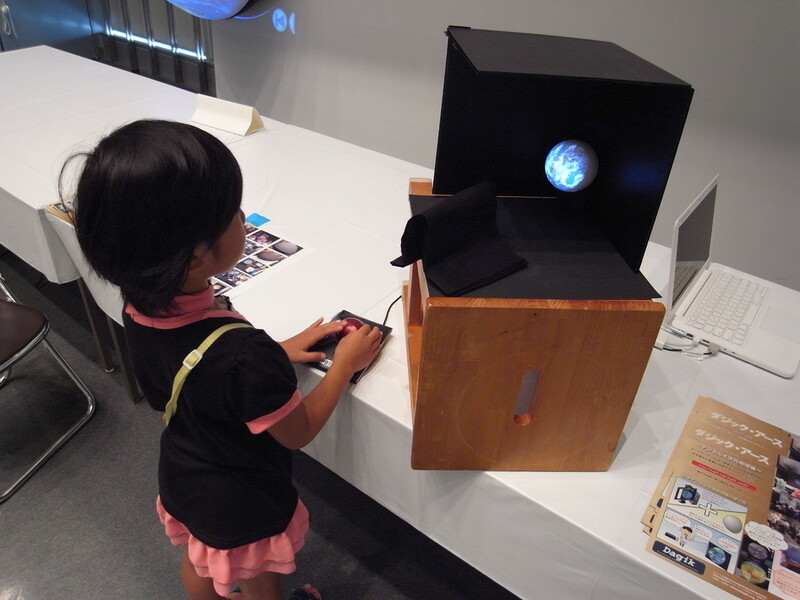 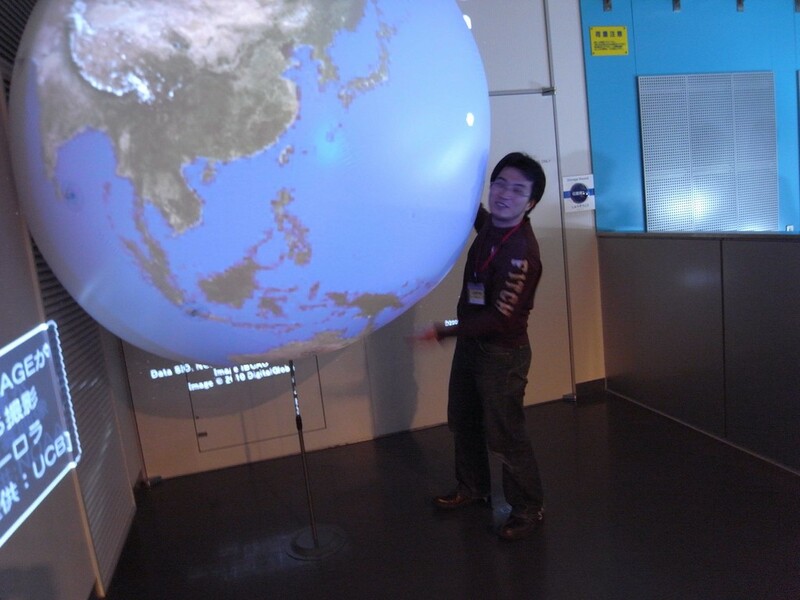 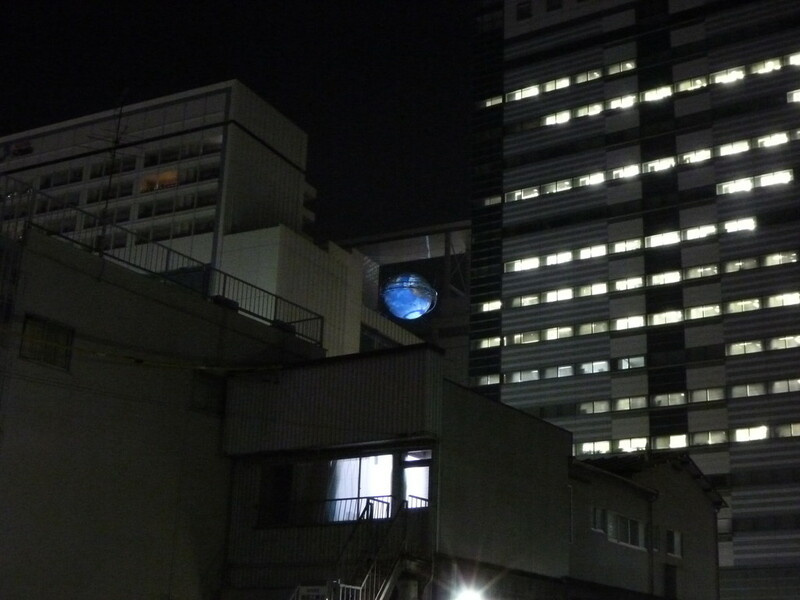 The earth images is projected on the screen with PC and PC projector. 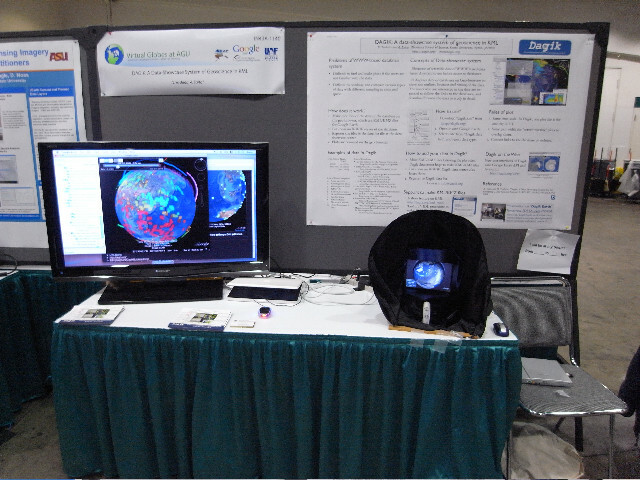 Dagik Earth software runs on PC (Windows and Macintosh). 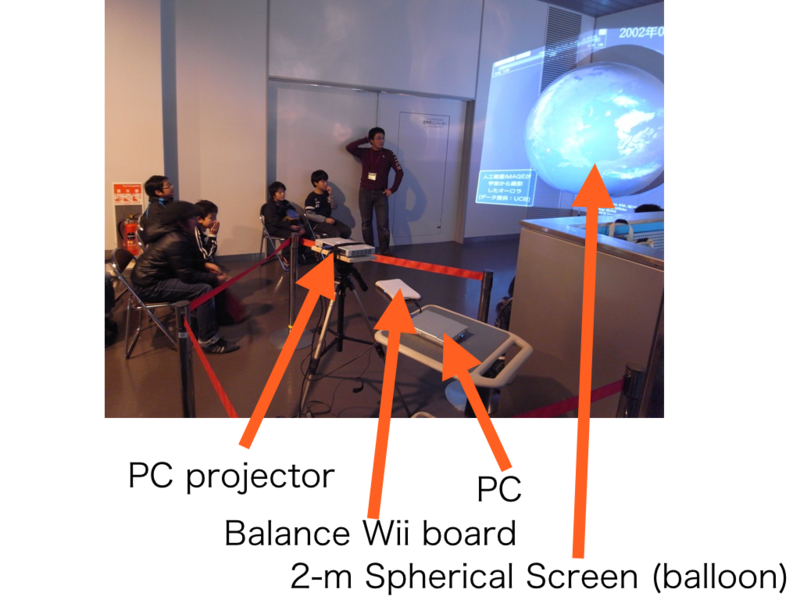 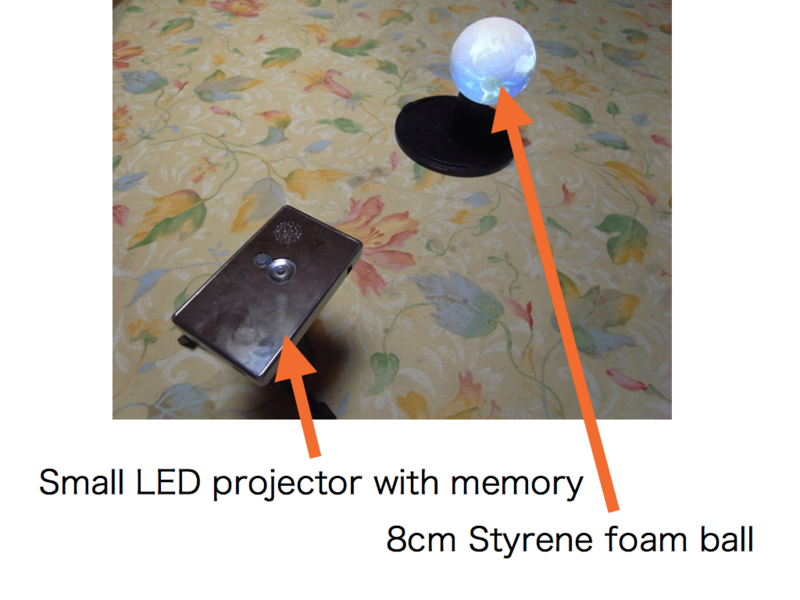 Balance wiiboard, iPad or trackball is used as a controller. 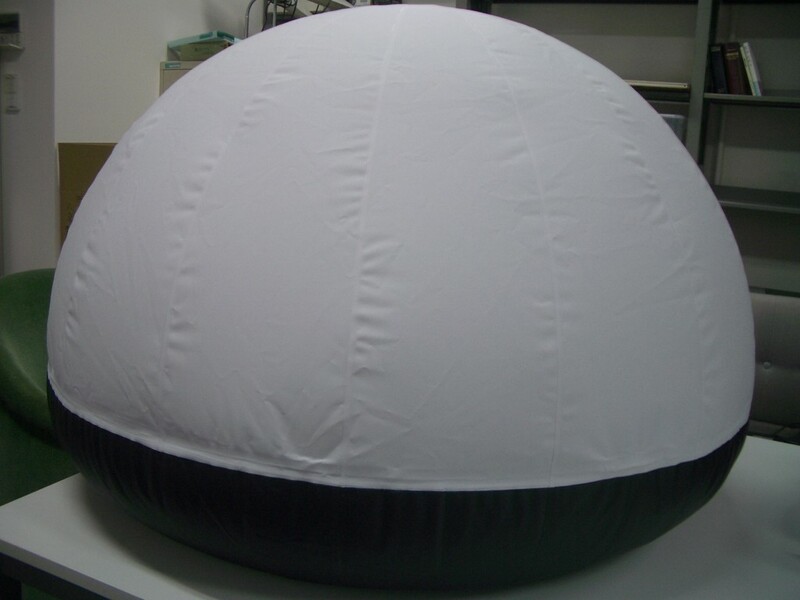 We use large white balloons whose diameter are from 2m to 4m accroding to the availabe area size.